For example, washing clothes in cold water keeps your machine from having to use heat, making it a double whammy in the efficiency and money-saving department. Helping the earth and and your wallet? It's a win-win. Here are 10 big ways to save energy in a small space. 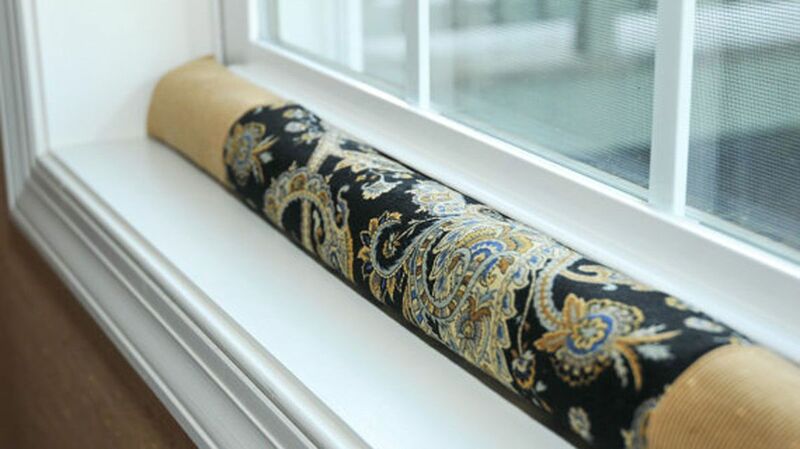 Use a draft stopper, like this one from Etsy, to keep cold air from seeping into your room. Properly insulating windows makes the most of natural heat sources like sunlight, and has the added benefit of cutting down on your energy bill. Some easy ways to insulate a window include making a DIY plastic cover, or getting a draft stopper for the bottom of the window, which keeps out cold air. 2. Pack your freezer tightly. The tighter you pack your freezer, the more it keeps the space cold (every time you open your freezer, it wastes energy by trying to chill all the warm air you let in). Maximize the space by taking all the food out, packing the back with space fillers (such as newspapers or bags of ice) and then putting the food back in. 3. Wash clothes in cold water. Use cold water as much as possible, because it keeps the washer from having to expend energy to heat water. Plus, if you're using your own washer rather than a laundromat or some other service, you're actually cutting down the overall cost of your bills. 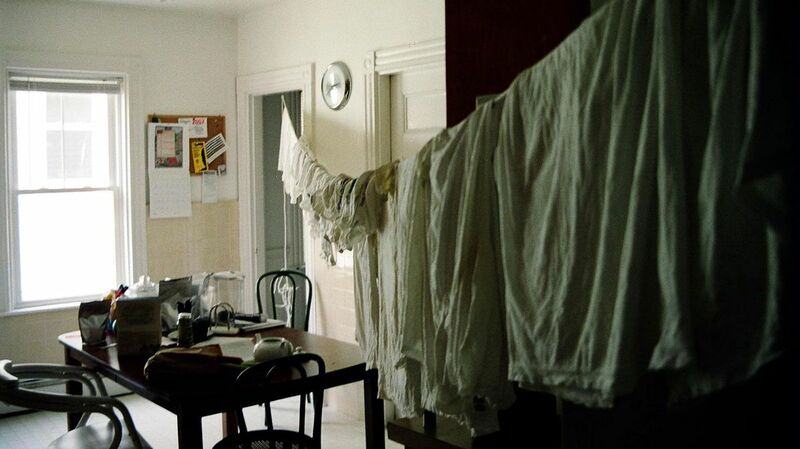 Hang a line up in your home where you can easily dry clothes. Not only will your room smell like deliciously clean clothes, you're taking one step toward no longer relying on energy. Purchase a drying rack, or make a DIY clothing line, and let your garments dry overnight. If you must use a dryer, here are some pro-tips for getting the most out of your use: always remove dryer lint, because otherwise it will clog up the machine and thus affect the effectiveness of the heat. Shake out your clothes once you take them out of the wash, which opens up the surface area of the garment, making it dry faster. If you're drying items that you normally iron, take them out while they're still a little damp; you'll save money and time. 5. Find ways to store fruit and vegetables without plastic. There are plenty of ways to store fruit and veggies without putting them in a fridge, or using plastic. The folks at Washington's Green Grocer have a mega-list of how each healthy item can be stored. For example, eggplants, onions, tomatoes and avocados can simply hang out on a countertop. Asparagus and celery can also stay out of the fridge, so long as you place them in shallow bowls of water. You can wrap arugula in a dry towel and place it in an open container, as well as beets — as long as you cover them in a moist towel instead. Stock up on reusable grocery bags, water bottles and cloth napkins (which you can pop in the wash with your clothes). 7. Use compact fluorescent light bulbs. 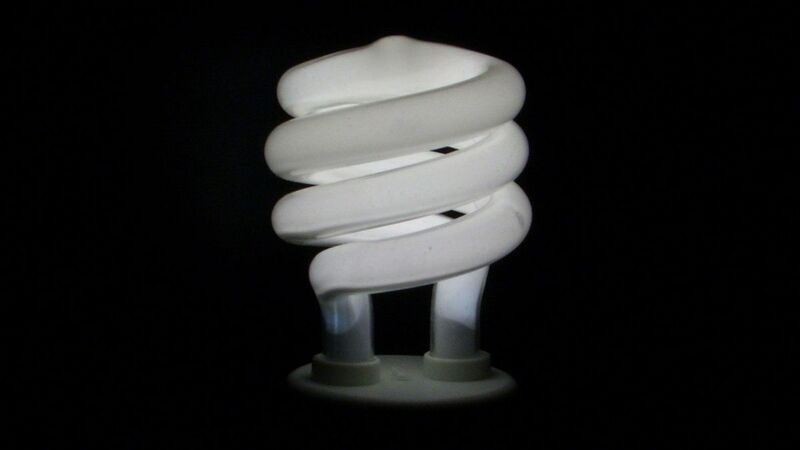 CFL light bulbs use 75% less electricity than traditional light bulbs, according to Energy Star. Turning down your thermostat by 10 to 15 degrees for eight hours can save you 5% to 15% per year on your heating bill. Not a bad way to save energy. 9. Always use lids on pots or pans. A lid traps heat, making the most of the energy flow and cutting down on the amount of time needed to cook. 10. Turn off the power strip connected to your electronics. You should always power down items you aren't using, but you also need to keep in mind that some items are never really off. For example, TVs are actually on standby in order to respond to your remote control in an instant. Other "vampire" devices, as they're called for their sneaky power-sucking abilities, include cordless phones, desktop computers and gaming consoles. One quick way to make sure everything is really turned off is to plug items into a power strip with a switchable on/off button. 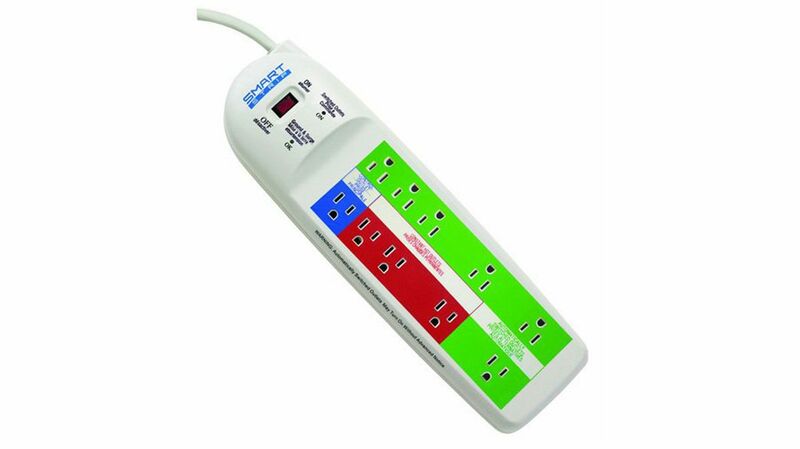 You could also try getting a smart power strip, which will automatically turn off when items are not in use.